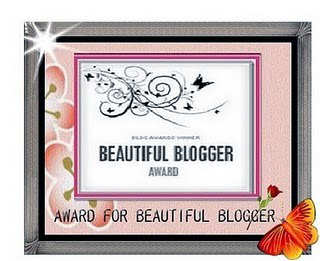 Whilst at work today I got a lovely surprise in my inbox... in the shape of a fellow blogger nominating me for Beautiful Blogger Award. Thank you so much Rachel from Beauty Queen UK, please go check her wonderful blog out!! 1) I'm not actually officially Mummy "B" as me and Jamie are not married yet. 5) I haven't had my hair cut or dyed since I was 37 weeks pregnant... Darcie is now 9 months! Bec of Flowers in Tea Tins, soon to be married Bec is aiming to get married with a budget of £2000! Hoping to get married myself in the near future I am super excited to see if she can reach her goal! Plus she is a very lovely friend of mine. Alex of Baby to Bump, her blog is gorgeous and is written in such a cute away! Patiently waiting till her little baby to arrive. Kayleigh of Beauty Life and Babies, I LOVE her blog I ALWAYS get excited when I see she has a new post. Jessica from Jessica Beautician, I have followed her blog for a long time now, its my go to blog for all my beauty needs. Steph of Day Dreaming on a Dime, my beautiful friend who lives the other side of the country (so I hardly ever see her... boooo). This blog keeps me updated and her food recipes are pretty darn good too! Natalie of Simply Just Natalie, probably as obsessed with nail varnish as me! Love her fashion posts too! Becca of Keeping up with the Joneses, a recent find and is fast becoming one of my top regular reads! Please go and check these wonderful blogs out!! Lovely post! I need to do this too! I also don't have a driving license :/ Are the conventions in this country? My OH would love that!